If you have never ventured into the world of fountain pens, consider this your official invitation. Fountain pens can provide an enjoyable, daily writing experience. We want your first fountain pen to be a great one and this is it - the 5280 Aspire fountain pen. The medium point, steel nib lays down ink reliably and smoothly. The screw on cap keeps your nib and ink secure or can be screwed to the top when writing. A very secure way to post a cap. Conveniently refill with two different sizes of ink cartridges shown below. Or utilize a converter and order a bottle of ink, the most economical way to refuel your fountain pen. Select from sporty carbon, all matte black or pearl and rose gold. 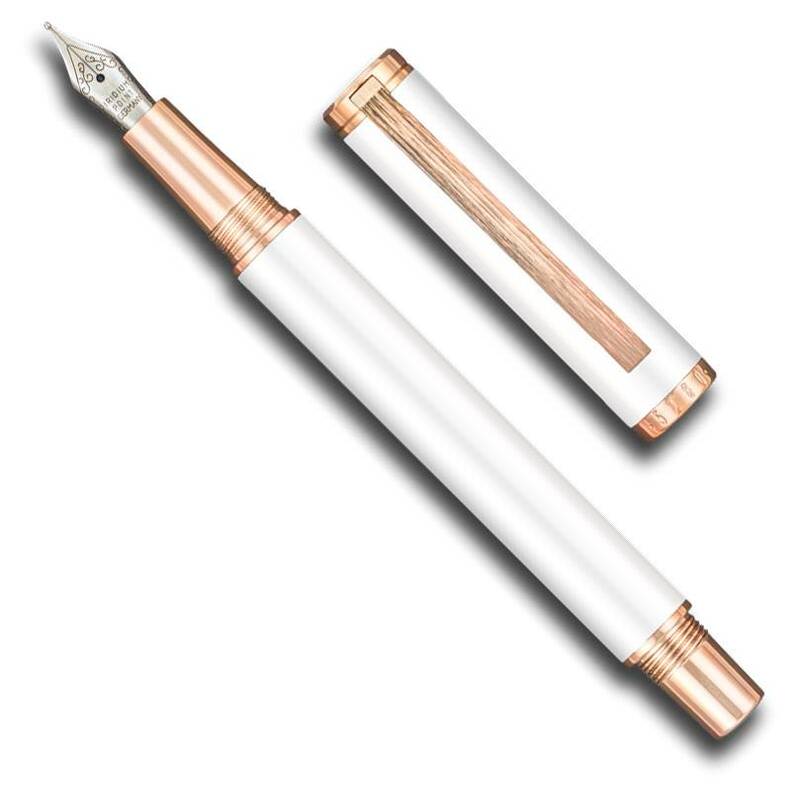 Seek a better writing experience with a modestly priced 5280 Aspire fountain pen.